The Minnesota Association of Resources for Recovery and Chemical Health (MARRCH) is a professional association of addiction treatment professionals and organizations striving to raise awareness about addiction and the power of recovery. We represent more than 75 agencies and more than 2,000 individuals (Licensed Alcohol and Drug Counselors, students, other behavioral health professionals) with members in every region of Minnesota. As a collective body, MARRCH works to educate, support and guide individuals and agencies while speaking with a unified voice in public policy venues. Welcome to the MARRCH website. Here is your guide and some helpful tips to use our site. 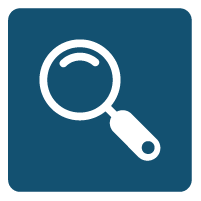 Use the MARRCH searchable directory to find a treatment center. MARRCH advises you to consider anything you put on social networking to be public information.